Jonathan Clements, in the Wall Street Journal today, had some useful reminders for moms and dads trying to teach their kids good money skills. We actually practice some of these on our eight-year old. Our friend, Harvey Beck at ActiveAllowance.com writes a lot in his blog about his money experiments on his two boys and finds that a lot of these strategies really work. All dads should try these things just to see if it helps to quell the “I want” and “I need” reaction to all the buying stimuli kids are exposed to. Postpone joy – Clements suggests offering to trade a $5 per week allowance for $7 if the child is willing to wait an extra week for it. Slow spending with big bills – try giving your child his allowance in coins one week, singles another week, and one big bill the following week. You may be surprised that the big bill gets broken more slowly. Make a wish list – help your child learn to postpone gratification and prioritize wishes by adding things to a list. Giving in to urgent demands does nothing to help kids learn what they really want. Often, kids can’t even remember from one day to the next what their urgent demand even was. 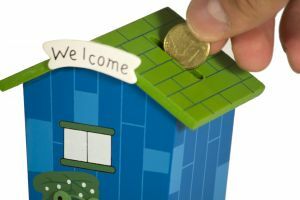 Give kids their own money – giving a real allowance, even at five or six, is amazing for sensitizing a child to the fact that money isn’t infinite. Children are suddenly very careful when they know they are drawing down their own stash. Clements relates the story of giving $5 for a school field trip and getting no change. The next time, he gave his daughter $5, but said she could keep anything. She brought home the full $5, which went straight to her piggy bank. Finally, I’d recommend talking about money in a way that is consistent more with the values you want to instill than in the values you may have picked up. Most of us middle class moms and dads lust over bright shiny objects, but then are surprised when our kids do the same thing. We wonder where they get it and blame it on TV or on their other less-enlightened peers. The responsibility, though, really lands on us. We need to be aware of how many boxes from Amazon come flowing into the house, how much we talk about other people’s money, or how much things cost, and whether we sub-consciously communicate that spending and buying is the best way to alleviate boredom and find happiness. The answer is not usually to “just say ‘no,’ but to help our kids find balance and learn to be good spending adults.